← Ever Been to the Jacaranda Hotel in Avon Park?? Another ‘GEM’ from the SWC District. 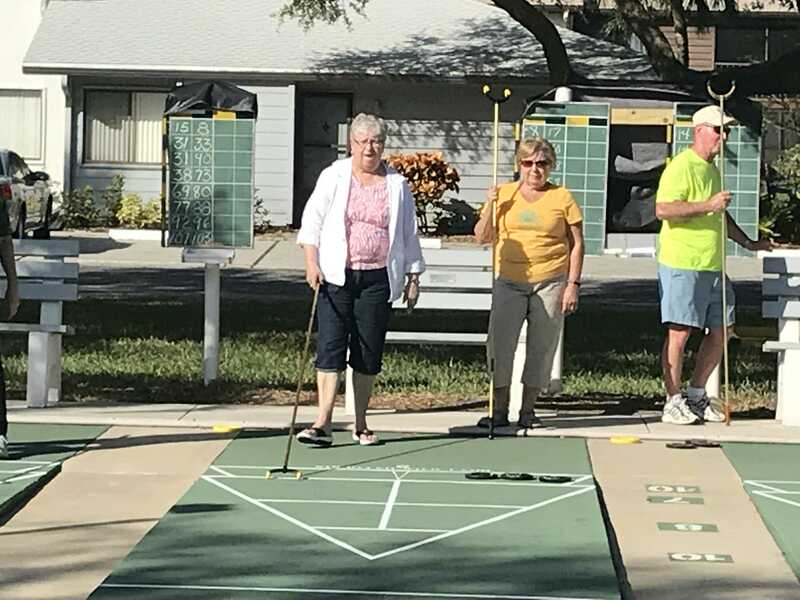 Located in West Bradenton, the Country Village Association has 3 different leagues: Monday, Tuesday and Wednesday Mornings (filling 6 courts). They also have a ‘Fun’ Shuffle Monday’s at 4PM. Upwards of 70+ shufflers play weekly. This is also where Pam and I now live. 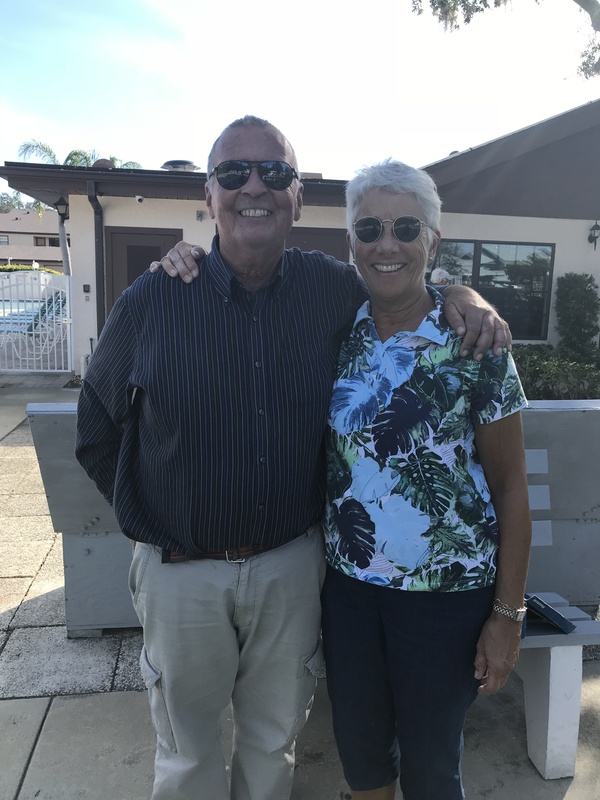 Pictured above are Gerry & Martha Ippersiel, coordinators for the Wednesday League & Monday afternoon Shuffle. Monday Director is a long time Shuffle and Coordinator at CV, Joe Lesch. Tuesday’s Director is Mike Reis. Credit for recent years Shuffleboard growth also goes to resident Neil Rivaldo. 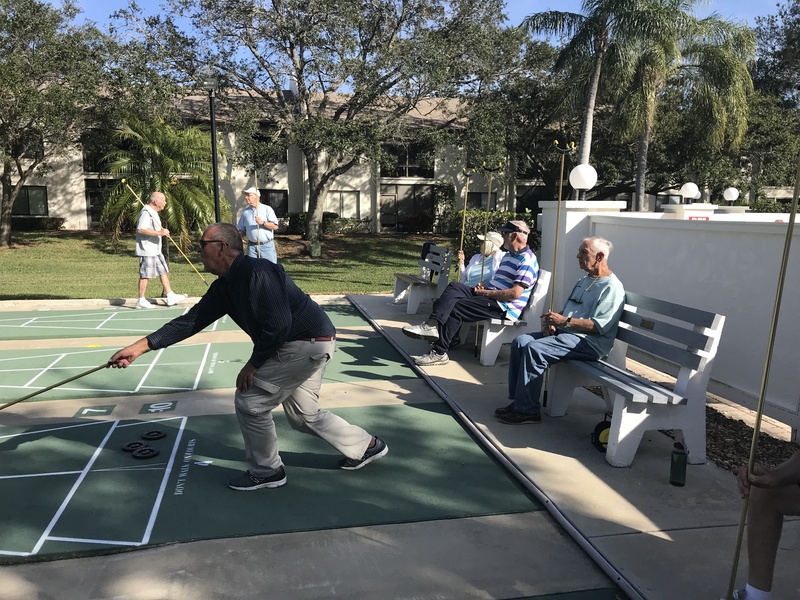 At the conclusion of their Shuffleboard Season in March, the Country Village Shufflers have a ‘Picnic,” present the Top Shufflers of the year and add their names to the ‘Honorary Plaques’ Updated annually in the Clubhouse.